PoPville » Wait, Is Tackle Box or DC Diner Coming to Cleveland Park? Wait, Is Tackle Box or DC Diner Coming to Cleveland Park? 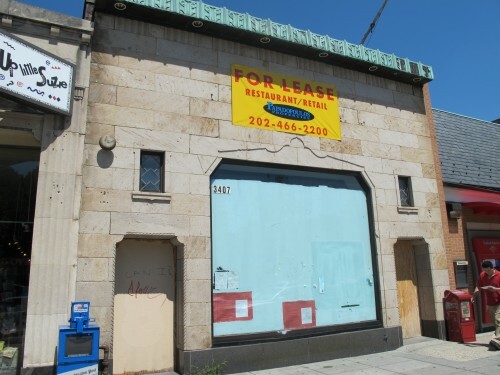 It was very big news when the Post broke the story back in mid-June that Tackle Box was looking to open another location in the old McDonalds space at 3407 Connecticut Ave, NW. But I just noticed that an alcohol renewal permit had recently been pasted on the window under the name DC Diner. 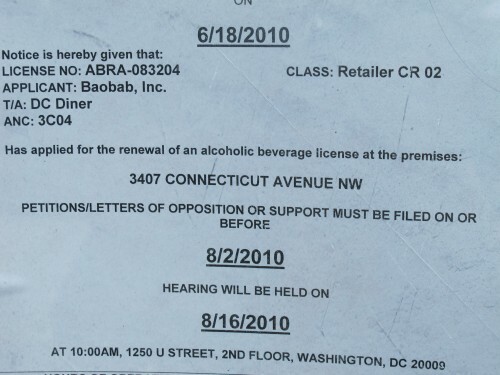 Anyone know if DC Diner has returned from the dead or if it’s simply easier to just renew a permit under the original name? John Smith 1882 Excitement over the New Target? Rosette Thanks for the insight. Sounds like a great upgrade.